Looking for a haunted vacation destination this October? This series of wonderfully creepy ads channels horror movie posters to promise a spooky stay in America's haunted hotels. 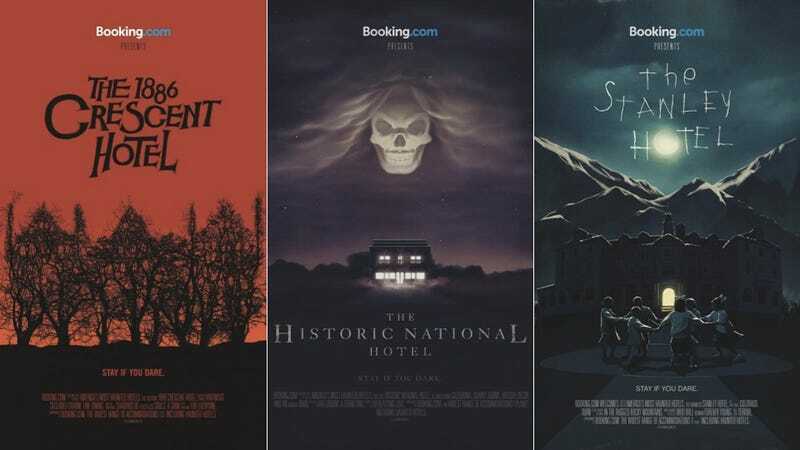 Ad agency Wieden+Kennedy created these ads for Booking.com to advertise the company's Haunted Destinations finder. Be sure to view them at full resolution to read each hotel's horrific offerings.